Blessings to you all in this season of Lent and in our upcoming Holy Week observances. This holy time of year could be called the “Holy of Holies” of the Christian calendar. May it be to us a fresh and vital reminder of our SaviorGod’s love for us and our holy call to share His love with all men! Lent in particular is a time to dedicate ourselves afresh to preach Christ crucified (1 Cor. 1:23). These greatest themes of the gospel must be ever sharpened in our hearts and minds. Dear Father, we hallow Your holy name, and we pray that Your kingdom come and Your will be done on earth just like it is done in heaven! Please continue to keep the Pickford, Clare, and Kalkaska Churches in prayer as they are in the midst of pastoral transition. Rev. 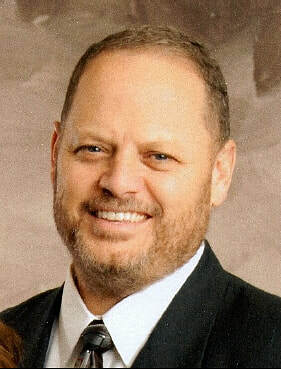 Tim Fall is the interim pastor at Clare. Kalkaska is just starting the transition process. Rev. Jim (Barbara) Heckathorn’s first Sunday at Pickford is March 31st. The Heckathorns are ministers with New Church Specialties and are beginning a nine to twelve month interim. NCS includes a full church assessment and implementation process and Pickford is a pilot church for our district of the NCS ministry. On Saturday evening, April 13th, the first of five pre-launch services for the Upper Room Church of the Nazarene in Petoskey will take place at the Petoskey High School auditorium. Please consider joining with us for this kick-off service. Please pray for our church planters, Josh and Stephanie LaRoque. 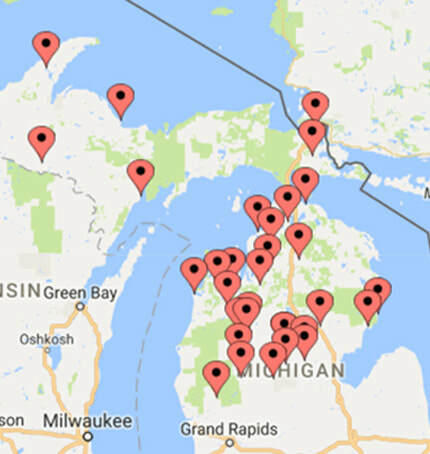 Please be in prayer for the Northern Michigan District’s 34th District Assembly, held April 26-27, 2019, at Alanson Church. We are of God: he that knows God hears us; he that is not of God does not hear us. Hereby we know the spirit of truth, and the spirit of error (1 Jn 4:6). Recently in my devotional reading I was reminded of a precious gift that is our heritage in Christ Jesus. The Holy Spirit actively works in the child of God exposing error and revealing truth by His Word in our hearts. Praise His name! We are bombarded with error all the time by the working of the evil one, but as the redeemed of the Lord (if spiritually attentive) we can distinctly hear the still, small voice of the Holy Spirit. Jesus said, "My sheep hear my voice, and I know them, and they follow me" (John 10:27). I find this to be of great comfort in times like these. May God raise us up as a LISTENING church! Much of the deception of the enemy is intended to make us think we cannot discern truth and error; by faith let us affirm that we can by the Holy Spirit. In your scriptural meditation, make sure to spiritually listen, and be assured that our Lord will speak specific applications of His eternal word to our daily lives. This revelation is specifically intended to equip us to stand in the truth. Amen. And when he puts forth His own sheep, He goes before them, and the sheep follow Him: for they know His voice. And a stranger they will not follow, but they will flee from him: for they know not the voice of strangers. Greetings! Rejoice, for The beloved of the LORD shall dwell in safety in His embrace; and the LORD shall cover His beloved all the day long, and His beloved shall dwell in the cradle of His arms (Deut. 33:12 para.). The Northern Michigan District Pastoral Ministry Team Retreat concluded Sunday morning with a communion service. This retreat was a special time of fellowship and refreshing for our ministers. General Superintendent Dr. Gustavo Crocker led our retreat and brought a series of messages dealing with avoiding burnout by making sure to abide in the presence of Jesus! I believe this timely theme was a great blessing to our ministers and spouses. The Scriptures abound with promises of blessing and peace to those who make it their priority to abide with Him: Thou wilt keep him in perfect peace, whose mind is stayed on thee: because he trusteth in thee (Isaiah 26:3); He that dwells in the secret place of the most High shall abide under the shadow of the Almighty (Psalms 91:1); Whoever has My commandments and keeps them is the one who loves Me. The one who loves Me will be loved by My Father, and I will love him and reveal Myself to him (John 14:21). Please remember that your October 2017 attendance stats are now due. Thank you for your timely attention to this matter. I appreciate the many who have already submitted their October stats. See below for submission options. I thank my God upon every remembrance of you, Always in every prayer of mine for you all making request with joy, For your fellowship in the gospel from the first day until now; Being confident of this very thing, that He who has begun a good work in you will perform it until the day of Jesus Christ (Philippians 1:3-6). We had two great weeks of camping, first with our Children’s Camp and then Family Camp. Brandon and Sandy Metzger did a fantastic job leading our children’s camp. This year’s theme was “Jesus League” - JESUS ALONE CAN SAVE THE WORLD. The children learned that Jesus is their greatest Superhero! On Thursday night, the alter in the Children’s Tabernacle was full of children praying to receive Jesus as their Savior or recommitting their life to Him. Praise God for His faithfulness and presence during the week of Children’s Camp. The Metzgers also led the children during the week of Family Camp both in the morning session and during the evening services. They also planned some great family fun events that we enjoyed throughout the week. Again thanks to all the children’s workers for a great Family Camp week. Thank you to Richard Wadsworth, our camp administrator, for his diligent work before and during our week together. Thank you to June Wadsworth and her great kitchen crew for all their hard work in preparing our delicious meals every day. And thank you to Eric Cobb and his crew for serving during our lunch hour. Lindsey Murphy was the speaker for the teens during Family Camp. There was a great group of youth in attendance and Jeremy and Cari Gomez and their staff once again provided excellent leadership during the week. Thank you to all who helped minister to our precious teens this past week. The teens had a great times together, including a service project in the area on Wednesday afternoon. The ONU praise team, “City On a Hill”, provided the music for the teen camp and our evening worship services. In addition, they helped with the teen camp ministry throughout the week. Dr. Carl Leth was our camp evangelist and Bible study teacher. We were so blessed by his ministry. The Wednesday evening service concluded with an anointing service and many came for special prayer and anointing. On Thursday evening we were blessed to hear from Nazarene missionaries in a creative access area. Two baptisms also took place during the week. Family Camp was a wonderful week together and God was so faithful. Mark your calendars for next year’s Family Camp, August 4-9, 2019.